Our LEGO Minifigure Family holiday campaign was accepted to Facebook Studio and is now featured in their online gallery! The Facebook Studio Awards recognizes brands and agencies doing best-in-class work on Facebook and the opportunity to receive international recognition for creative excellence. 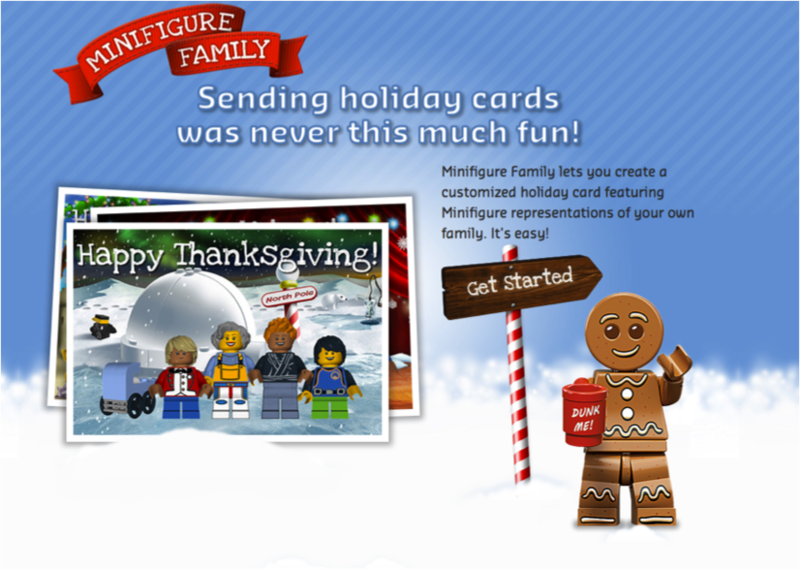 The Minifigure Family Experience lets users create customized holiday cards featuring Minifigure versions of their own families. Skin tone, hairstyle, hair color, facial expressions and clothing are some of the ways in which users can customize the individual Minifigures. Users can easily share their personalized holiday cards online and download to save or print a high-resolution card image as well. The card creation tool lives at LEGO.com and users have easy access to all of the great videos and games there. The real engine of the campaign is the social community. Every card shared online represents advertising impressions that lead directly back to LEGO.com. The goal of the Minifigure Family experience, which consisted of owned, earned and paid executions, was to drive new traffic to LEGO.com. In 2013, the campaign was the #1 driver of traffic to LEGO.com from all social channels.